October in Shawnee forest – This was taken during the peak of autumn colors, at the foot of where a waterfall will be once we’ve had more rain. A small pond sits there now, catching falling leaves from the surrounding trees. 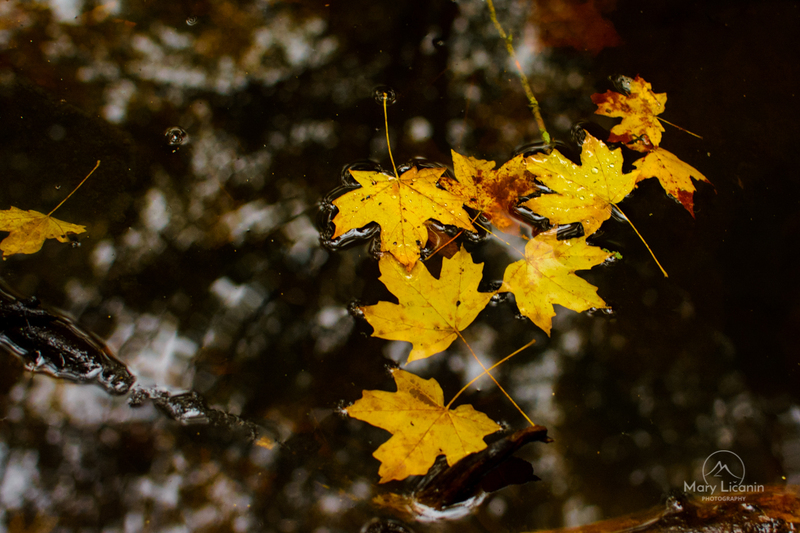 I loved the way the still water wrapped around the edges of these yellow leaves, and the way the rain left its mark on each.